When teeth are improperly spaced, maloccluded or crooked, they can interfere with normal, healthy biting, chewing and speaking. Teeth that are correctly aligned not only perform all these tasks better but they are also considered more attractive. Those with misalignments or malocclusions are more likely to suffer from periodontal disease, uneven wear, tooth damage and TMJ disorders. Traditionally, many have opted for braces in order to correct bite abnormalities and crooked teeth, but today, our Torrance Invisalign aligners dentist can offer you an alternative. Invisalign clear plastic aligners are designed for discreet, fast straightening of your smile. If our specialist for Invisalign aligners in Torrance determines that you are a candidate for Invisalign, you will receive a series of aligner trays, which will be changed every two to three weeks in order to bring about the ideal results. Because Invisalign is removable, you will be able to maintain excellent dental hygiene throughout your treatment. Compliance plays an important role in your treatment experience; for the best results, your trays must be worn at least 20 hours every day. You can remove your trays for eating, drinking, brushing, flossing and special occasions. Our Torrance Invisalign aligners provider can use Invisalign to correct a number of bite problems and misalignments, including overcrowded teeth, cross bites, overbites and under bites. If you suffer from any of these bite or alignment issues, our dentist will take 3D images of your entire jaw so that we can create an individualized treatment program that addresses each area of concern. Once your treatment plan is completed, your aligners will be custom made in order to achieve the small, precise movements essential to your treatment’s success. Between 20 and 29 aligners may be used depending on your unique treatment goals. If you are interested in learning more about how Invisalign can help you achieve a straighter, healthier smile, our expert for Invisalign aligners in Torrance can help you explore your options. 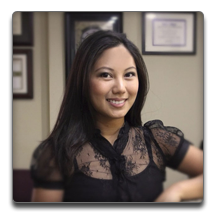 Give us a call today to schedule a consultation with our Torrance cosmetic dentist.